A man who carried out a string of violent knifepoint robberies targeting young women and a woman aged 84, has been sentenced to 35 years in jail today Friday, 22 March. 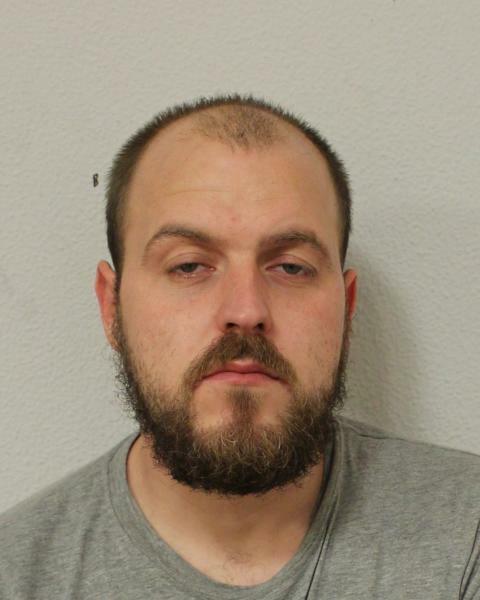 Ross Dawson, 33 (21.11.1985) of no fixed address had pleaded guilty to all the offences at previous hearings at Snaresbrook Crown Court where he was sentenced today. He was sentenced for three robberies and one aggravated burglary. The court heard how Dawson would use a knife to carry out his numerous offences. At the time of the offences he was wanted on a recall to prison, having failed to comply with the conditions of this release. The first offence happened on Tuesday, 4 July 2017. In the early hours of the morning a cab driver was asked to pick up a person from Romford. 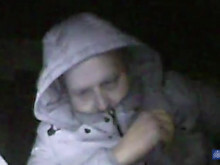 The fare was Dawson and an unknown woman; Dawson got into the front seat and the woman got into the rear. Whilst driving along St Mary’s Lane, Upminster, Dawson told the victim to stop the vehicle. He told the driver the woman was his wife and she was feeling sick due to pregnancy. The driver stopped and Dawson produced a knife and demanded that the victim give him money, he then punched the victim in the face. The victim told Dawson to take the money and he started to get out of the vehicle. Dawson then dragged the victim from the vehicle and he fell to the floor. As he was helpless on the floor, Dawson held a knife to his throat and demanded the car key. However in the struggle the key was broken and when Dawson got in the car he could not start it. He and the woman then made off on foot. The next offence was on Saturday, 15 July 2017. The victim, a 61-year-old mini cab driver, responded accepted a fare from a woman to go to Kingsbridge Circus, Romford. 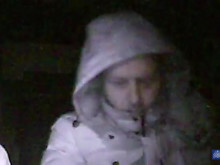 When he arrived to pick her up, two men approached the car and one of them got in, this man was Dawson. Dawson asked to be taken to Crow Lane, Romford. The victim asked for payment first. Dawson told the victim he could have is phone as surety, but the victim declined. At this point Dawson threatened the victim with a knife and demanded money. The victim handed over his wallet and Dawson then demanded the chain around the victim’s neck, which was only his driver’s ID. Dawson then left the car not realising the whole matter had been recorded on the driver’s dash-cam. The victim later told police he was genuinely scared for his life throughout the incident, however he remained calm so as not to get hurt. On Saturday, 22 July 2017 an 84-year-old woman was in her car outside her address in Romford, when she was approached by Dawson. He stated it was his pregnant wife who was not feeling well, asking for a lift to the hospital. The woman agreed to help but on route to hospital, Dawson made the elderly victim stop on a secluded road and pushed her out of the car and sped off from the scene. 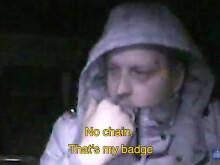 The incident was recorded on the dash-cam of a member of the public who pulled up behind the car. He left behind the juvenile female, who cannot be named for legal reasons. When police arrived this girl was arrested for robbery and upon being searched a black handled, 8 inch kitchen knife was found in her handbag. The last incident happened on Thursday 3rd August 2017. At 19:01hrs police were called to an address in Ilford. The victim, a 30-year-old female, told police she had been held at knife point after answering the door. She explained how she had heard the doorbell and went to answer it. The juvenile girl involved in the incident on the 22 July was at the door. The victim knew this girl and let her into the house. A short while later the victim heard this girl go downstairs to the front door. The victim left her room and was confronted by two men, one of whom was Dawson and another white man who was referred to as John. ‘John’ then put a knife to her throat and demanded she tell them where the valuables were. Dawson then went behind the victim and put his right arm over her right shoulder and put her in a headlock. He started to squeeze her neck and the victim told police she thought she was going to die. The victim lost consciousness, blacked out and fell to the floor. When she regained consciousness, her whole body was shaking. She realised they had gone and called 999 and then ran downstairs, screaming for help in the streets. Dawson was identified and arrested on the 3 August 2017 and subsequently charged with the above offences. 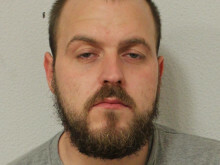 A 32-year old man was arrested on 17 September in connection with the incident on 3 August, but has been released with no further action. The juvenile girl, who was 15-years-old, pleaded guilty at juvenile court in October 2017, to possession of a pointed and bladed article. + The sentence included two charges brought against him by West Mercia Police for blackmailing other inmates while he spent time in custody.